The Ohio Environmental Protection Agency is ordering the closure of a dump near homes in East Cleveland, while a former mayor says independently conducted tests of dust and air around the site detected toxic gas. In 2014, East Cleveland sold off a large parcel of land along Noble Road in order to bring in revenue to the city’s depleted budget. 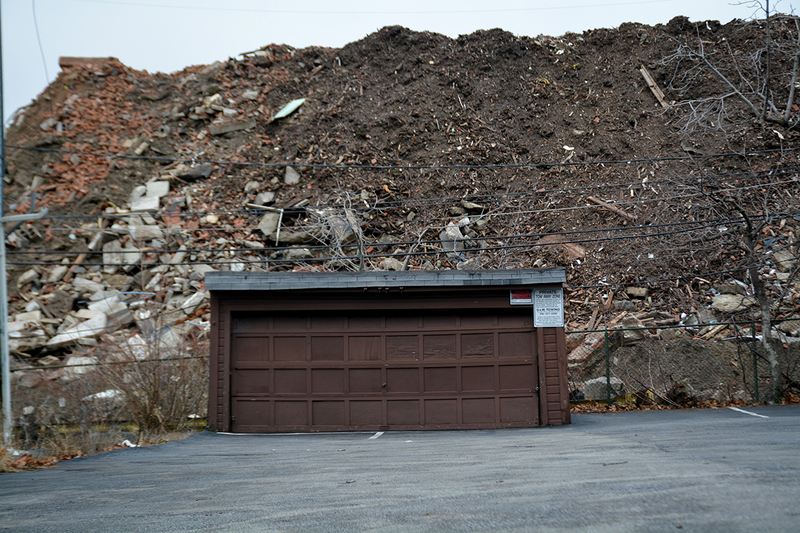 A company called Arco Recycling moved in and piled the site high with debris from demolished houses. Residents like Willie Morrow say the noise from trucks and dust from the pile have made it worse to live on the street. “Living beside this has been more than just a nightmare, because there’s no peace no more,” Morrow said. Former East Cleveland Mayor Eric Brewer brought in Jim Riffle, the president of an environmental consulting company called Auburn Environmental. Riffle said his tests found signs of fiberglass particles and a toxic gas known as hydrogen sulfide. The gas, he said, can come from water interacting with gypsum drywall. The Ohio EPA last week determined the company wasn’t recycling much of the material, but was instead allowing the pile to grow higher and higher. The state EPA ordered Arco to shut down and clear away the mounds of debris. Heidi Griesmer, the state EPA’s deputy director for communications, said the agency hasn’t received Riffle’s report, but will review his findings when they do. She said Cleveland Division of Air Quality tests in the past two years did not detect more than trace amounts of asbestos. Riffle said he found plaster at the site, but didn’t analyze it for asbestos. Arco representatives didn’t answer a call for comment, nor did an attorney for the company.